Looking for a wholesome family outing? 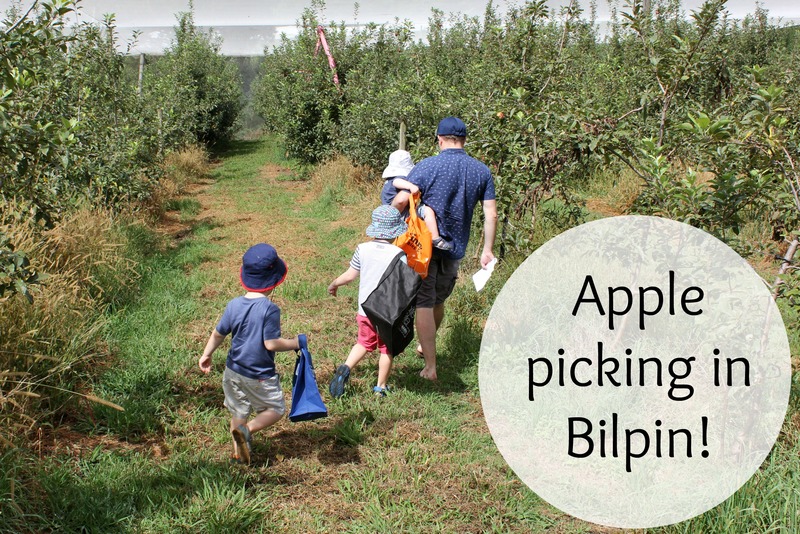 Pack up the kids and go apple picking in Bilpin! 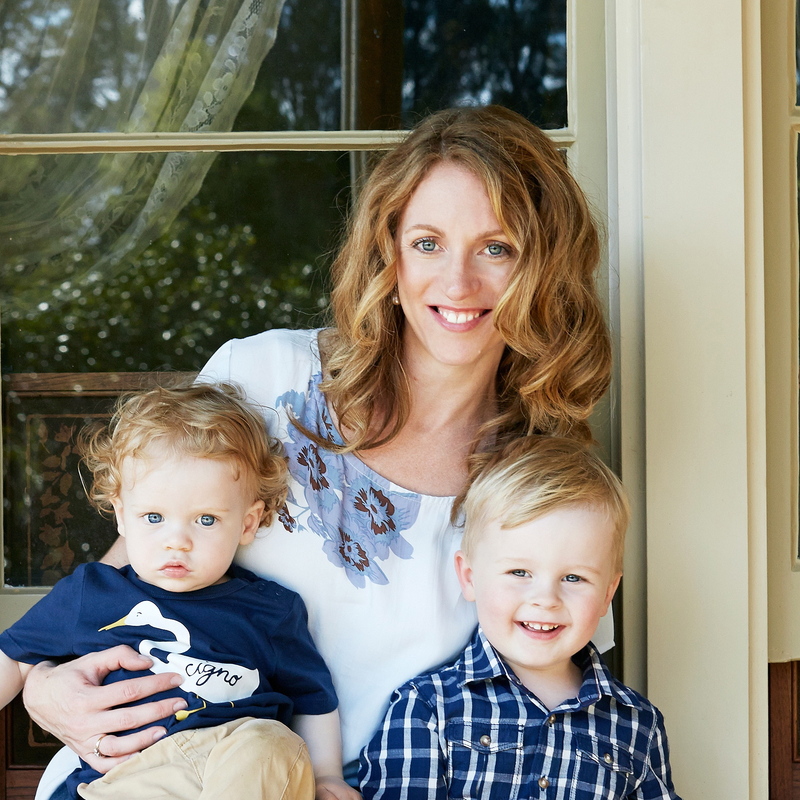 I spent my childhood in Tassie, where berry picking is the thing to do. But to berry pick in Sydney, you have to go on a mission. Then I decided apple picking would satisfy my fruit picking needs. Until Mr Wallace questioned whether our boys would be able to reach high enough to pick apples. It was back to the drawing board, momentarily! Entirely by chance this post popped up on Facebook, about, you guessed it, apple picking. Quick as a flash I typed the question ‘are there apples at kid height’? Well, yes indeed there are! So, off we went apple picking in Bilpin. We decided to apple pick at Pine Crest Orchard. 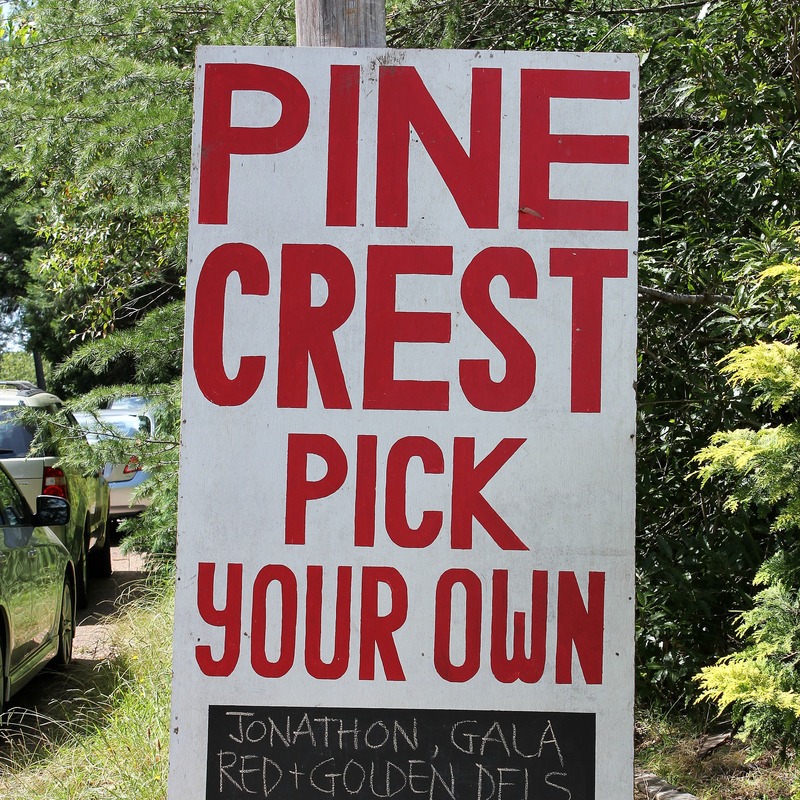 Pine Crest is an orchard established for fruit pickers, so it has great fruit variety. 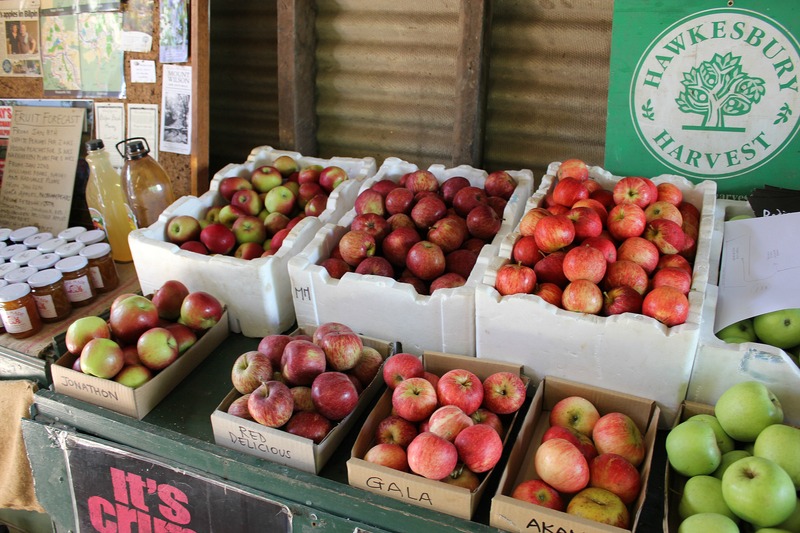 There’s no need to book an apple picking slot and you simply pay for what you pick. If you have any questions about apple picking in Bilpin, like what’s available for picking, head to the Pine Crest Facebook page. They are super quick to respond! At the entrance to the orchard we were given a run down on the apples available for picking and where to find them. We were also told how to properly pick the apples, making it very simple for the boys. Honestly, there was a risk the biggest lad would declare apple picking to be totally lame. I was pleasantly surprised when they all embraced the idea with gusto and trotted off to fill their bags with apples. don’t pick too many apples! We were having a grand old time picking and randomly Mr Wallace declared that we should stop. “But why?” I asked, we were having so much fun! He looked at me like I was crazy and declared “because we have a lot of apples”. He was right and I know that because I carried most of them back to the shed. I guessed we had about 5-6kgs of apples. Umm, no. We had picked 13kgs of apples! Oops. Lucky we like apples. With our two eldest boys apple picking enthusiastically, we didn’t actually apple pick for very long! We had spotted an apple cider shed on the way to Pine Crest and decided to call in for a quick tasting. 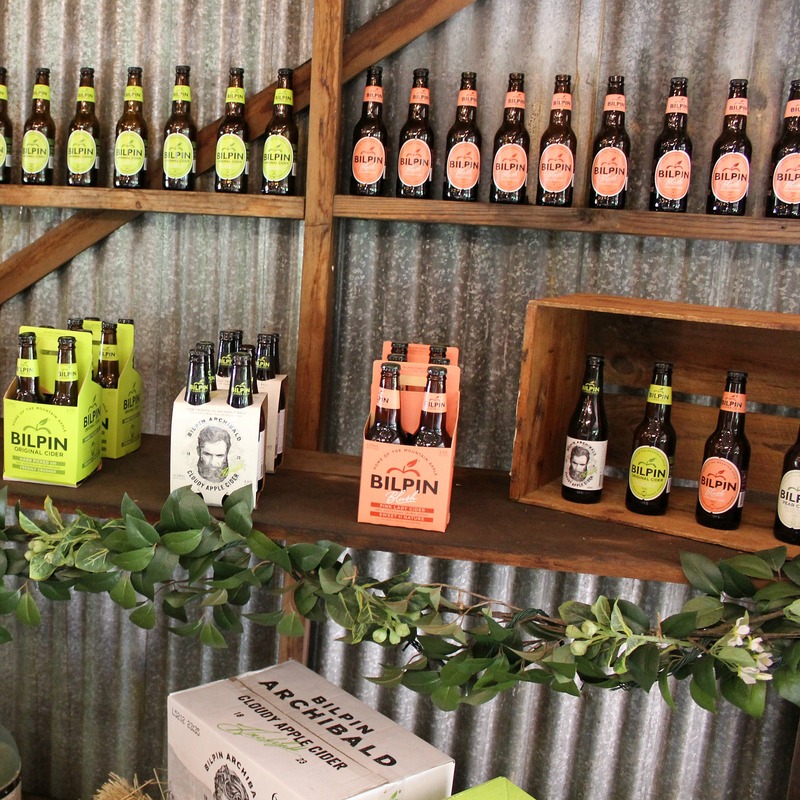 It’s a low-key tasting affair at the Bilpin Cider Co, making it an easy place to stop off with kids. The boys were even given a taste of the non-alcoholic cider. There’s not an abundance of choice for lunch in Bilpin. We stopped at Tutti Fruitti as there’s a large grassed area with tables and umbrellas, making it a perfect spot for kids. The ice cream was delicious, you pick your fruit and they blend it on the spot! Yummo. We’re still making our way through the apples. There’s been two apple pies with plans for apple crumble muffins this weekend. Our next fruit picking adventure will apparently be grape picking. Apples and grapes, the only two fruits the biggest lad eats! 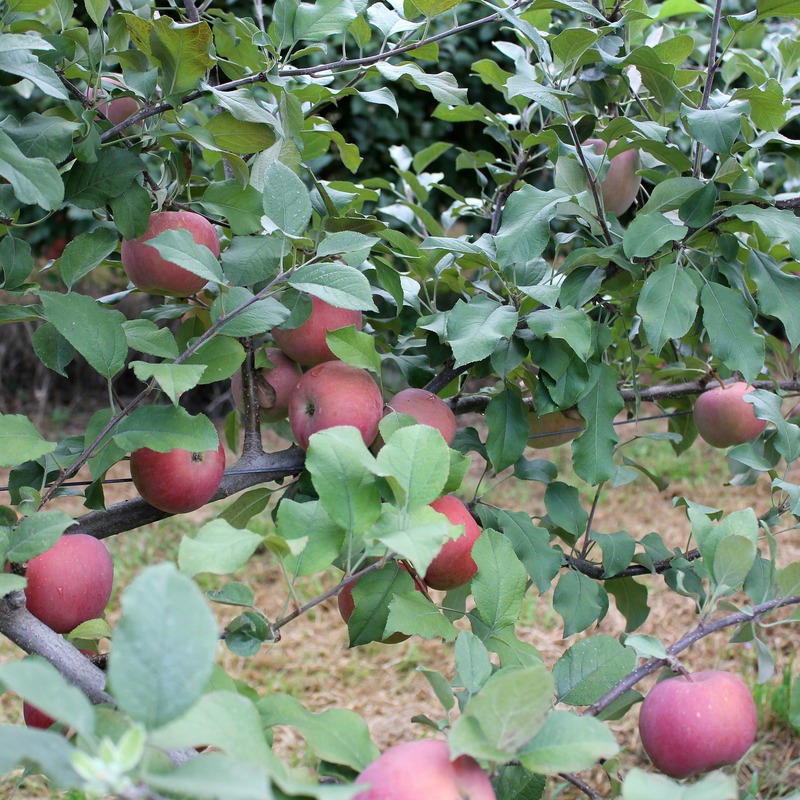 Have you been apple picking in Bilpin? If you live in Sydney I highly recommend it! Apples picked straight from the tree are especially crisp and tasty! Looks like fun! I’d love to give it a try. I’m sure you guys would love it! I’m so going to take the family apple picking! My kids love apples and they eat through so many bags of apples a week I’m constantly rebuying them! We’ll make a day of it and visit my aunt in Kurrajong on the way. The apples picked straight from the tree were delicious, so fresh! Well the littlest lad got into it! I put his hat on him and told him we were ready to pick apples. He wandered off and started picking them off the ground. Kids are so literal. Oh you must live in a beautiful place Kylie! 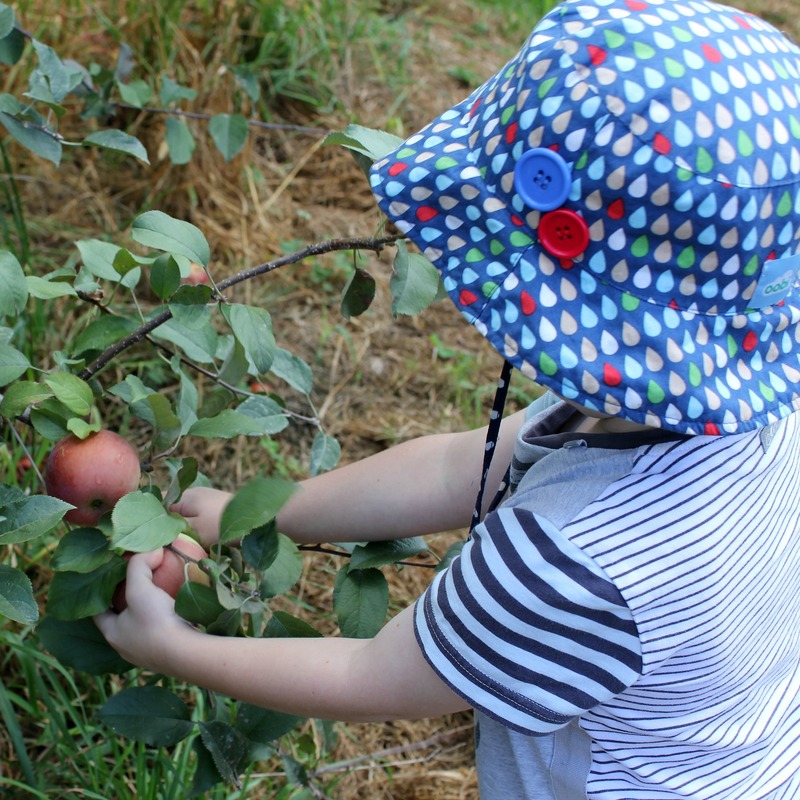 Apple picking does sound like a perfect activity for your family. It was a great family day, something to keep everyone happy! This looks so much fun – something to consider next time we pass through on our way to the Blue Mountains. Did you get a photo by the Big Fruit Bowl too?! Sammie I have visions of you making all sorts of fabulous goodies with apples. No big fruit bowl photo, next time. Great idea! Mandarin picking sounds lovely. I’ve lived in the area all my life and went for our first trip to this very orchard just a few weeks ago. I can’t believe what we’ve been missing out on! The kids loved it and the apples are delicious. I also highly recommend the local pie shop. The pies are delicious. The apples are absolutely delicious! We didn’t venture to the pie shop as I was keen to make my own but I’ll try it next time. You’re more than welcome Sam! My kids had a brilliant time, they are still talking about it. And we’re still eating the apples..
Our kids love picking fruit, we live near a town called Harcourt in Victoria, and there’s a local orchard that opens up for “pick your own” days. They grow apples and lots of stone fruit, very similar looking country to Bilpin actually!. You must live in a beautiful part of the world! Isn’t fruit picking such a lovely thing to do with kids.